We are demonstrating the technology to allow computers to track humans and dressing around you, enabling next level of gaming and collaboration; you can help make this a reality. An ideal candidate is an experienced software engineer with background of C# Unity3D with Kinect Fusion development. Once human match in space through kinect, human can wear the virtual dressing. 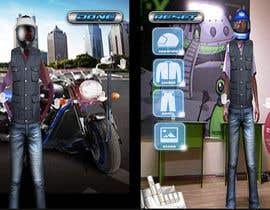 Application should can recognize three humans, wear virtual dressing to them. Also three dressing should be followed through human's action. You can get reference through this link. In additional, we want desktop version too. Total goal is mobile for android and ios. It is a long-term contract and we want the solution asap. Shillian S' entry also looks good if it supports mobile and desktop. Hi, Everyone. My contest supports for desktop and mobile. Also Mingshi J's entry looks good, but it is desktop? HI, Mingshi J. your entry is based on desktop or mobile? I will remove the cap. Not need cap for heading. Hi, everyone. 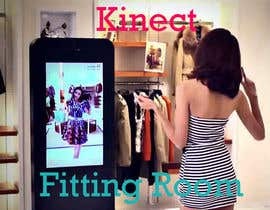 I want the mobile and desktop dressing applcation done by fusioning kinect and ar.